2 Bedroom, 1 Bath Townhouse in Downtown Florence! You will feel right at home during your stay in this historic property. 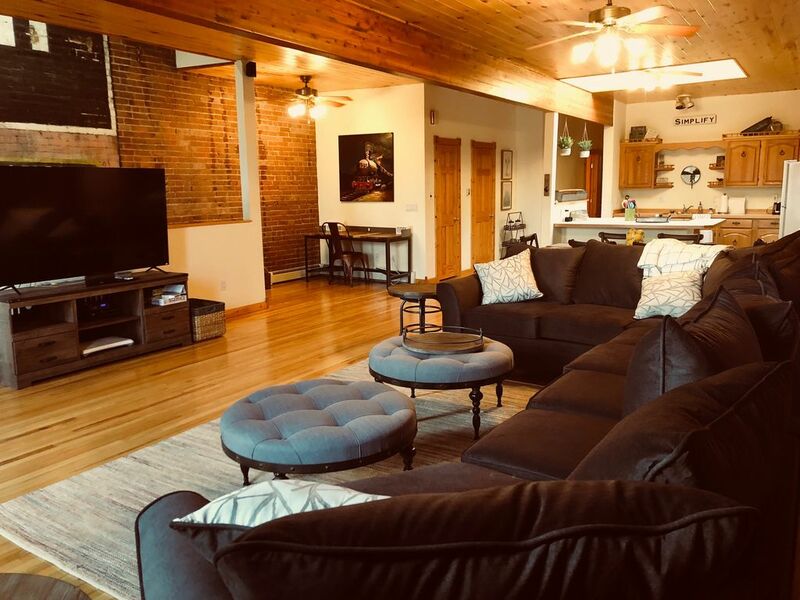 We go the extra mile to make sure your stay is comfortable in modern yet rustic 1600 sq ft loft. This is a historic property that served as a town garage in the 1800s and early 1900s. It was completely remodeled, but you still get to experience the exposed brick and painting on the walls. The property is in the heart of Florence, within walking distance to great restaurants and shops. This property is quiet and spacious. This property has so many unique features, we couldn't pass it up. We know you'll fall in love with it too! You'll stay in downtown Florence, close to shopping, great restaurants, and outdoor activities. Fish on the Arkansas River, take a short trip to the Royal Gorge, zip lining, sky diving in Penrose, river rafting, rock climbing, hiking, mountain biking and more! First time in Florence, nice little town! Very clean and organized!! 2 sisters on main st. Is the BEST!! We enjoyed our stay in this townhouse. It is very organized and clean. We really enjoyed our stay in the town home. Much bigger than expected. very clean and well stocked with everything you may need. Within walking distance to several shops, restaurants, and the Florence brewing Company in the small downtown area. Close to Canon City if you are planning on riding the train or going to the bridge. The townhouse was wonderful. It accommodated our family perfectly. It had everything we needed. It was very well stocked with pans, dishes, utensils, towels, linen, extra pillows, and fans. Everything was labeled to take out the guess work. It was exceptionally clean. The beds were comfortable, living area is very spacious and well decorated. It is within walking distance to everything in town. I would definitely recommend this townhouse to anyone looking to stay in Florence, CO or the surrounding area.